lightning storm...could the geology be the answer ? as i am visiting asheville currently ( ) maybe i'll go see for myself ! 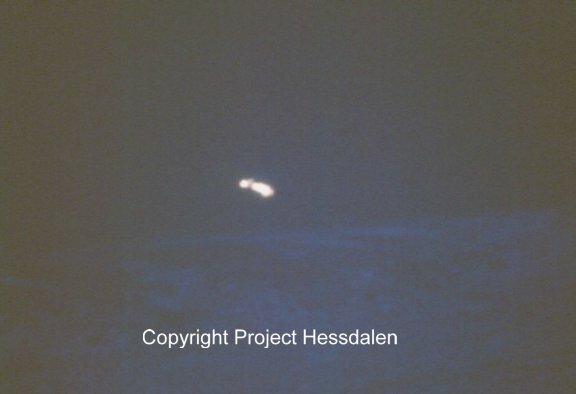 This seems related to the Hessdalen Lights - Project Hessdalen (Norway). Apparently this has been studied for decades from your link above. I saw the area described as a "natural battery" in a search for "Hessdalen geology". I wonder if the timing of occurrences could be correlated with solar activity ? but I got an eyewitness account from the man who originally told me of them. along the top of the treeline "about a mile" before sinking back down into the woods. After 15 or 20 minutes it rose again from that position and moved back to it's point of origin. Scientists found aquatic appearing diatom fragment in earth's stratosphere, and say with no known mechanism to send them up 24 to 27 km high, that it came in from outer space and is alien. The father of Panspermia, Wickramshe? is in on the paper, and says that a possible method is from gigantic blue jets that have been observed in the stratosphere. This observation is extremely reasonable, yet the scientists ignore it, and claim it came from space. That's quite incredible. If anything it confirms that panspermia does happen but the system of origin is the Earth. This is amazing. The Earth is the Garden of Eden. Wickramasinghe says that the stratosphere could contain a micro flora and ecology, to explain why they found samples again. Seems hard to find a diatom if not many are there living. This shows life's adaptability for extreme conditions like outer space. Stratosphere bugs can be jetted into outer space and drift into the darkness of the magnetotail. Earth's been losing some nasty bugs this way for several billion years, ever since life arose, so by now alien life could be more advanced than us, even if they came from life on earth. Those diatoms are earthlings until proven alien. What that proves is that there are mechanisms capable of uplifting microorganisms to many kms high. The diatoms look like earthlings, and are not that far away. So earth can't be the garden of eden, and if it was, then the galaxy and universe is going to be a sick place. It's possible that PAC's in outer space are excreted waste products, which do have the same compositions of earth life, and are not produced by an unproven reaction with light. I'd like to know the method that they would use to differentiate earthly origin from alien origin. If you take Panspermia seriously than all of "earth life" is just "alien life"
Take the work of Rhawn Joseph for instance. Electric currents most likely sent these diatoms up into the stratosphere--but that does not mean they could not send the diatoms to the Moon or Mars which have water. There seems to be conflicting evidence that the moon might have an atmosphere thick enough to support water and Mars certainly does. Fossilized bacteria has been found in Moon rocks and Mars rocks as well. There seems to be conflicting evidence that the moon might have an atmosphere thick enough to support water and Mars certainly does. Fossilized bacteria has been found in Moon rocks and Mars rocks as well. Please cite your sources. Otherwise, I consider those statements foolish.